Enjoy super live music in Orihuela at the International Mediterranean Guitar Festival. 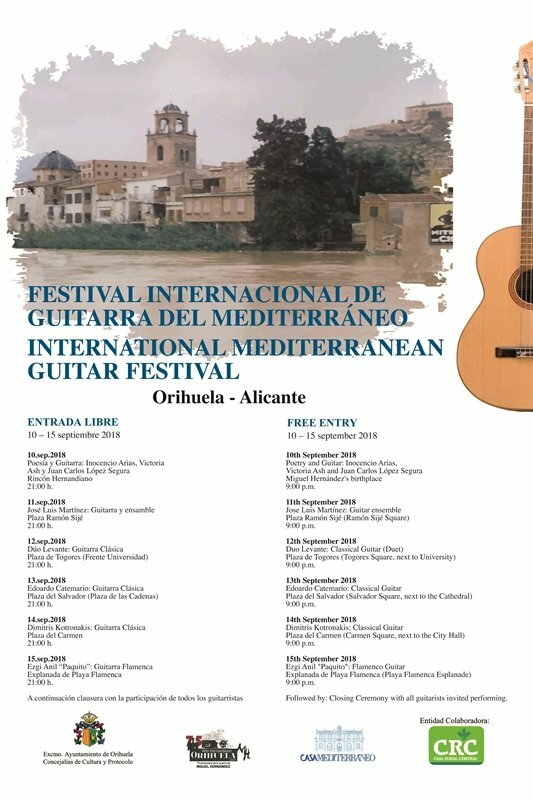 The International Mediterranean Guitar Festival in Orihuela offers a range of free concerts that will fill the old town and the Orihuela Costa with music, life and culture. The Orihuela guitar festival will involved guitarists from 5 countries, aimed at making Orihuela the guitar capital of the Mediterranean.